If you need an emergency boiler repair, our boiler repair services are available to residential and commercial customers in Cottingley. As experts in all aspects of boiler repairs and maintenance, our Gas Safe engineers have the skills and knowledge to repair all makes and models of boiler, so you can relax in the knowledge that we’ll have your boiler back in working order in no time at all. At Tuke Heating we are experts in boiler repairs in Cottingley. We have a team of skilled, qualified Gas Engineers who all have a wide range of expertise, covering boilers of all makes, models and ages. The majority of our work comes from customer recommendations and we’re confident that by choosing Tuke Heating for your boiler repairs, you’ll find that we offer an excellent level of customer service and workmanship. Covering everything from gas safety checks and boiler servicing, our boiler repair services for landlords in Cottingley also include a 24 hour emergency call out service and direct appointment booking with tenants. Regardless of the number of properties in your portfolio, we can offer your a boiler repair and maintenance package that’s tailor-made to meet your individual requirements. 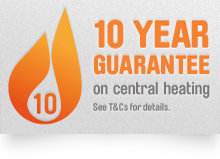 The only way to ensure your boiler runs efficiently and performs reliably is to have it repaired or serviced by a qualified, professional Gas Safe engineer. As a fully accredited, certified company we only use manufacturer approved parts when carrying out boiler repairs in Cottingley. Our goal is to carry out most boiler repairs during the first visit and if this isn’t possible, we promise to get your boiler working again as soon as we can. Don’t get stressed when your boiler breaks down – call Tuke Heating instead! We are experienced providers of boiler repairs throughout Cottingley and our team of qualified engineers are on hand to carry out repairs 24/7. We make a promise to our customers to be quick, efficient and reliable – why not get in touch with us today for details of our boiler repair services?